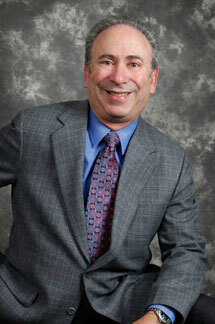 Dr. Gary Rosenblatt has lived in New Jersey for over 40 years. He and his wife Leslie, have two daughters Alison and Robyn. Dr. Rosenblatt practices in Millburn, N.J. In addition to his practice, he is the Chief of Periodontics at Mountainside Hospital in Montclair, as well as the former President of the Essex County Dental Society. Dr. Rosenblatt received his B.A. in Biology from the University of Rochester in 1972. In 1976 he received his D.M.D. from the University Of Pennsylvania School Of Dental Medicine. He then served as a resident in the Department of Dentistry of the Jewish General Hospital, McGill University in Montreal, Quebec. After practicing general dentistry for 2 ½ years, Dr. Rosenblatt attended the University of Medicine and Dentistry of New Jersey for his certificate in Periodontics. He has practiced Periodontics since 1981. Currently, Dr. Rosenblatt runs an implant and dental study club to encourage the continuing education of the dentists in the community. In addition, Dr. Rosenblatt was an officer in Surgical Planning Associates, a company that marketed devices to allow dentist's greater accuracy and ease in the placement and restoration of dental implants. Dr. Rosenblatt also served as the President of the Alpha Omega Dental Fraternity, the Newark Dental Club and the North Jersey Implant Group. The Consumers Research Council of America named him to the list of Top Dentists in America. 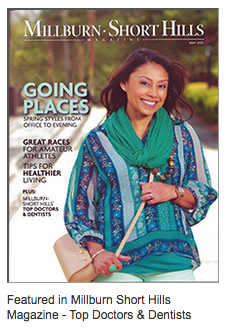 New Jersey Magazine has also named him among the top Periodontists in the state. Dr. Rosenblatt believes that a patient’s overall health and well being is directly linked to the patient’s dental health. His goal is to provide the highest quality of care in the fields of Periodontics as well as Implantology. The doctor treats each patient as an individual by first listening to his or her problems and then by customizing a treatment solution for each patient. “Warm, caring and professional” are the words most often used to describe both Dr. Rosenblatt and his staff. You were referred to our office because your general dentist has determined that either your gums require specialized attention or you are in need of implants in order to replace missing teeth. Dr. Rosenblatt and his staff will provide you with comprehensive evaluation and treatment in a professional and caring environment.